Dropbox - 310 Enterprises, Inc.
Click on above graphic to sign-up for a FREE account using our referral code. You'll receive 500 MB of additional storage. 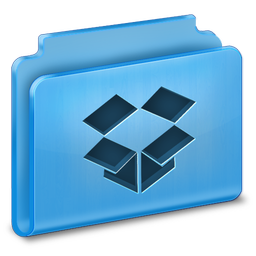 We created a FREE Dropbox account in July 2010 to test drive its bountiful features. We've been in awe of its flexibility and ease-of-use ever since then. At first, I was troubled with the possibility that their employees would have access to our sensitive files stored on their servers. That concern was extinguished immediately after reading about their protection protocols regarding that particular topic. In addition, they use Secure Sockets Layer and AES-256 bit encryption to transfer and store your data (view diagram). The free account served us well for the first year. However, due to relying on their dependable service to store numerous large files, we outgrew the storage space allotment (2 GB). We decided that the perfect solution for our needs was to upgrade to Dropbox Pro. It offers: 1 TB (﻿1,000 GB﻿) of space, higher download bandwidth and additional sharing/collaborating safeguards. Best of all, we benefit from its abundance of attributes and they're low annual fee of $199.00 doesn't deplete our bank account. You can create a LINK to a Folder/File with anyone (including non-Dropbox members). The exception to that rule is if you want to collaborate on a folder, whomever you invite to that folder must have at least a FREE Dropbox account. When creating any account online, we strongly recommend using LastPass to help you generate strong, individualized passwords. Another reason to use LastPass is because it safely manages all of your passwords, so they don't have to be written down anywhere. Dropbox allows you to use two-step verification and we suggest that you utilize it as an added layer of security to keep your account protected. If you need help learning how to use Dropbox, visit their extensive Help Center (type your question in the search box). If for some reason you can't find an answer there then type the question in their Community Forum. More often than not, you'll see that someone has already asked the same question and that a volunteer community member has answered it. If neither place provides a suitable answer then post your question in the Dropbox Forum (be sure to give specifics of: what you've tried to do, type of device you're using and any error messages if applicable). 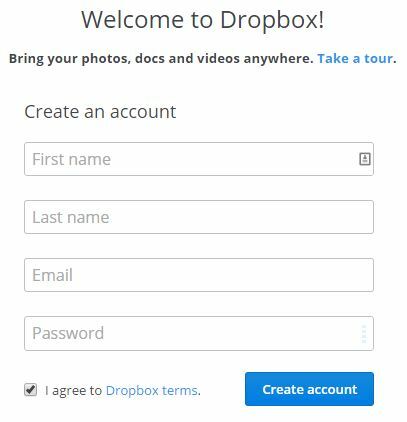 We have free accounts on a few of the other cloud services but based on our experiences Dropbox is our primary choice for: collaborating, sharing and syncing files. Of course, everyone has different needs and preferences, so we recommend trying other free cloud services to find out what works best for you. Having said that, you should still consider creating a free Dropbox account with our referral code. By doing so, you'll be rewarded with 500 MB of extra storage space. Besides, you can never have enough space for your files and photos. Sign-up for a FREE Dropbox account using our referral code. Verify your email address (view help). Download the desktop app and install it on your PC/laptop (installation help). Lastly, load the desktop app, then sign-in with your email address and password to complete the process. You can verify that you've earned extra space by logging-in to your Dropbox account via a browser (view instructions).